A WOMAN HAS been charged with assisting the suicide of another woman in Dublin in what is believed to be the first case of its kind in Ireland. 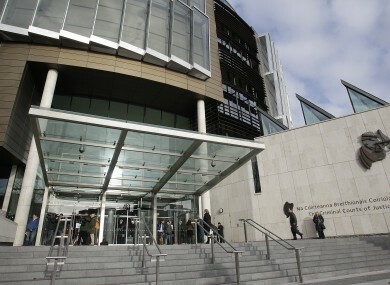 Gail O’Rourke of Kilclare Gardens in Tallaght appeared before the Dublin District Court this morning before Judge Michael Walsh under the Criminal Law (Suicide) Act 1993. She was charged with assisting the suicide of Bernadette Forde in Dublin between 10 March 2011 and 6 June 2011. The case was sent forward for trial at the Circuit Criminal Court which will begin on 13 December. Assisting another person to end their own life is a criminal offence in Ireland. Section 2 (2) of the Act states that anyone who aids, abets, or procures the suicide of another person – or the attempt by another person to take their own life – can be sentenced to up to fourteen years in jail. Earlier this year the Supreme Court ruled that the Constitution does not contain either a right to suicide or to arrange for the end of one’s life following the court battle by former lecturer Marie Fleming. Fleming, who is in the advanced stages of multiple sclerosis, had taken a case to test whether her family would be prosecuted if they helped her to take her own life. Email “Woman charged with assisting suicide in Dublin”. Feedback on “Woman charged with assisting suicide in Dublin”.